Exit 9 Wine & Liquor :: Now The Largest Wine & Liquor Store In NY! Home / News / Exit 9 Wine & Liquor Has Moved! Exit 9 Wine & Liquor Has Moved! 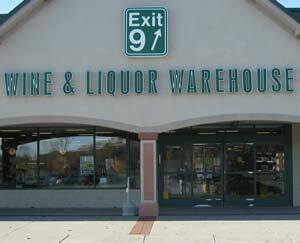 Exit 9 Wine and Liquor INC. in Clifton Park, NY has moved to a 37,500-square-foot store making it home to the largest wine and liquor store in New York! The store used to be located in The Crossing shopping center in a 30,000-square-foot building but is now located in the old Linens N' Things standalone building in the shopping center across from Home Depot. This 7,500- square-foot increase will allow the store to have a temperature-controlled fine wine room, a tasting room and more room for inventory!